Talk about an impressive debut. I DONT KNOW HOW BUT THEY FOUND ME (iDKHOW) just accomplished an amazing feat with their debut EP, 1981 Extended Play. The duo, which is composed of former Panic! 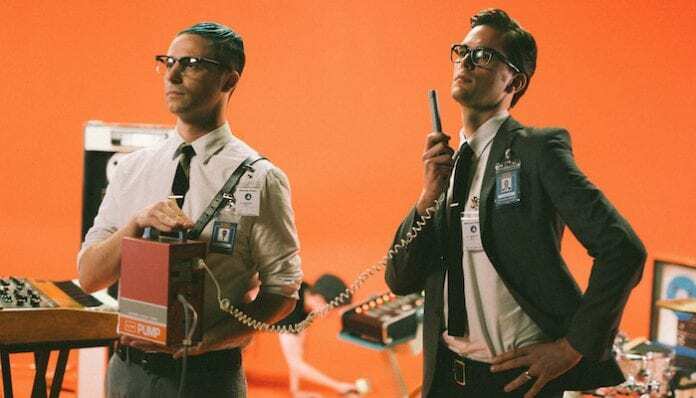 At The Disco bassist Dallon Weekes and former Falling In Reverse drummer Ryan Seaman, landed on several of Billboard’s charts. 1981 Extended Play debuted at No. 8 on Billboard’s Current Alternative chart, No. 11 on the Current Rock chart and No. 1 on the Heatseekers Albums chart. The Heatseekers Albums chart spotlights artists who are “breaking and emerging,” according to Billboard. iDKHOW topped the week ending Nov. 24. The same week, boygenius’ self-titled EP landed at No. 3 and Laura Jane Grace & The Devouring Mothers’ debut full-length Bought To Rot landed at No. 6.
iDKHOW’s six-track synth-pop, electric rock, all-around eccentric EP has already accumulated a whopping 15.2 million Spotify plays after only being out for a little less than two weeks. “Choke” quickly became a favorite single and EP track, and has over 8 million YouTube views. The band take their name from a line in Back To The Future and embrace the concept that they’re a lost act from the late ‘70s/early ‘80s who never quite made it. However, their music has recently been unearthed thanks to modern technology, and they’re resurrecting the tracks for today’s generation. The band are currently out supporting Waterparks on their North American Entertainment tour alongside Super Whatevr, NG and De’Wayne Jackson. Remaining tickets are available here.